At Now Resorts & Spas, we love to get social, and we especially love how easy technology makes it to interact with our fans and guests! We are accessible on all the major social media channels, including Instagram, Pinterest and Twitter and each of our resort properties is on Facebook as well. 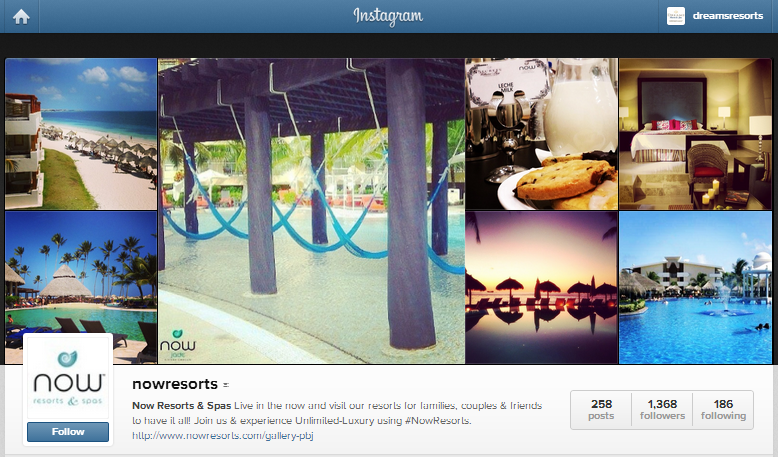 There’s no better way to keep up with the latest events, changes, deals and promotions at Now Resorts than to follow us on all our social media accounts. Whether you want to check out pictures of the resort grounds, restaurants and weddings, share your own photos and thoughts on your Now escape, stay in touch with other Now fans and friends you made on your vacation, or always be the first to hear about ways to save on your next stay, social media is a fantastic way to stay connected. 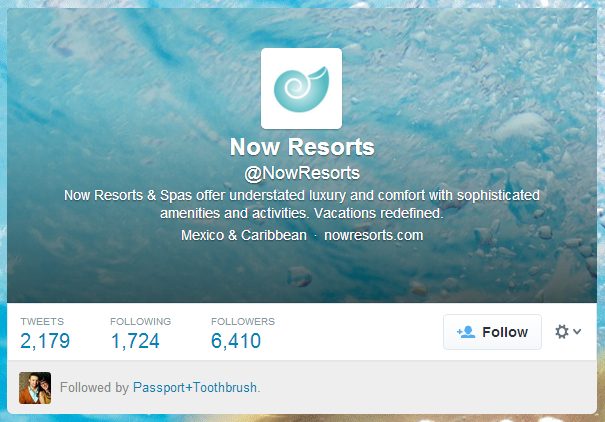 You’ll be a true Now Resorts & Spas insider in no time! LIKE Now Amber on Facebook! LIKE Now Sapphire on Facebook! LIKE Now Jade on Facebook! LIKE Now Larimar on Facebook! This entry was posted in Now Resorts & Spas and tagged Facebook, instagram, Now Resorts & Spas, pinterest, social media, Twitter. Bookmark the permalink.